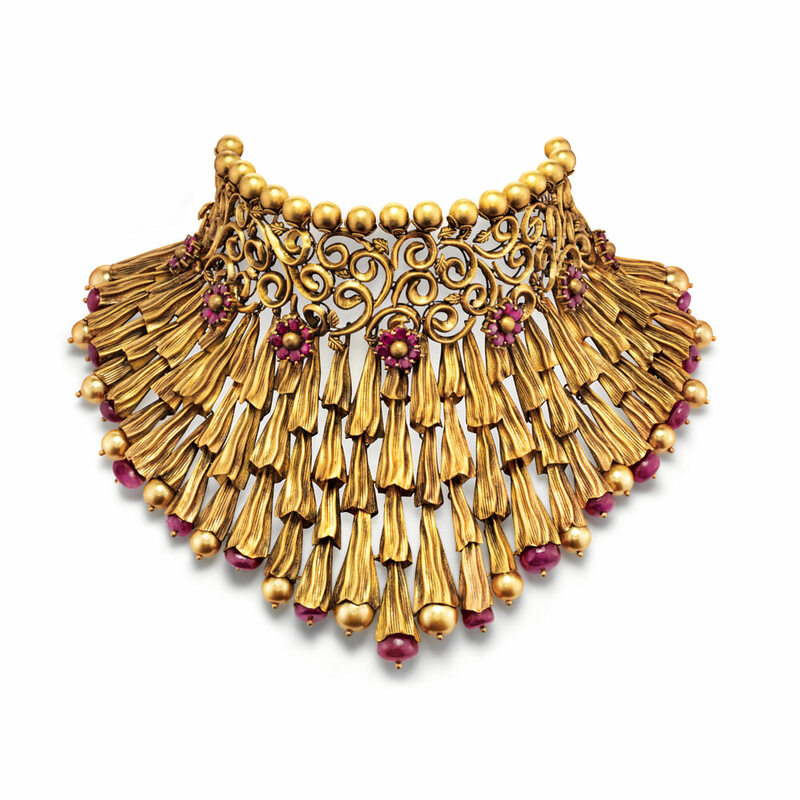 Frilled flutes create an intriguingly couture aura for this 22- Karrat gold showstopper necklace. Beads merging into delicate scrolls the seven flowers in red stone signify the seven vows of marriage between individuals. The cascading layers of buds with a pearl drop at the end gives the showstopper piece a contemporary elegance, a flair that is hard to miss.